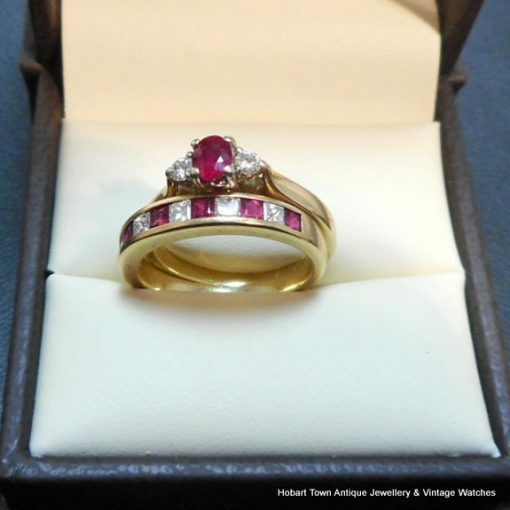 An Estate Ruby Diamond 18ct Gold Vintage Two Ring Set , 1 in 18ct and 1 in 10ct yellow gold. 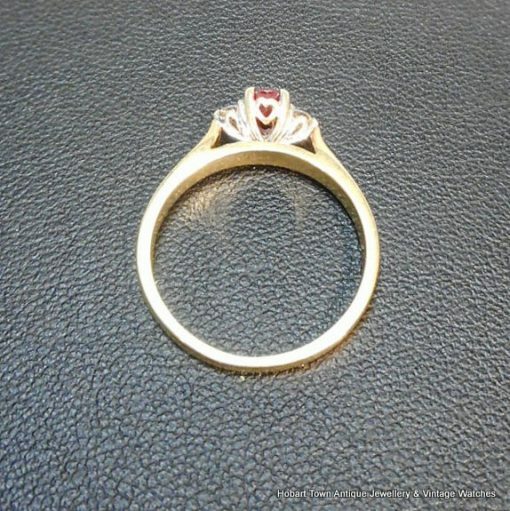 And ideal wedding ring set or engagement ring set. This Estate Ruby Diamond 18ct Gold Vintage Two Ring Set offers great value for money , as well as looking beautiful on most ladies hands. 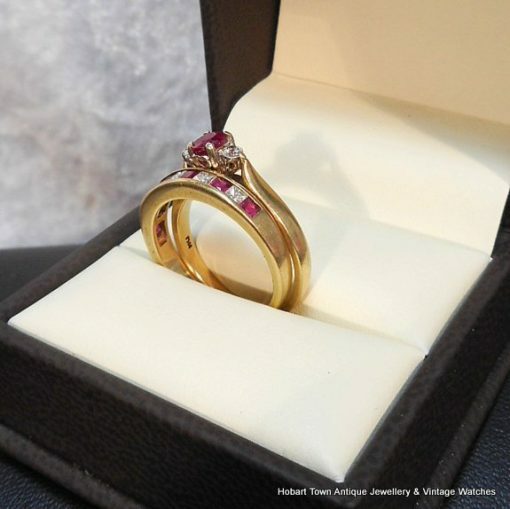 With 1 ring being made in 18ct yellow gold , with the larger ruby complimented by a bright diamond either side and a white gold heart motif mount , which accentuates the gemstones. 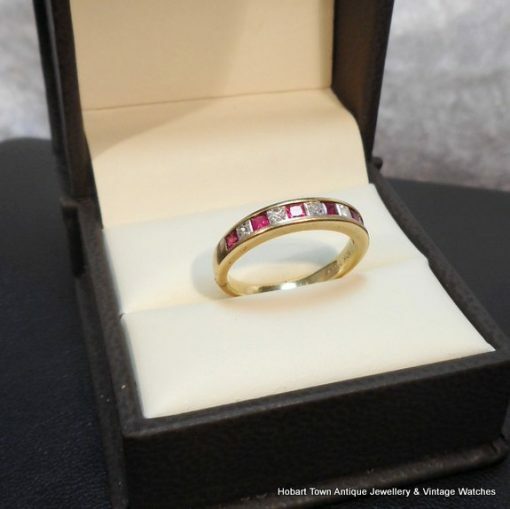 The half eternity ring is set with princess cut diamonds and square cut rubies and mounted in 10ct yellow gold. 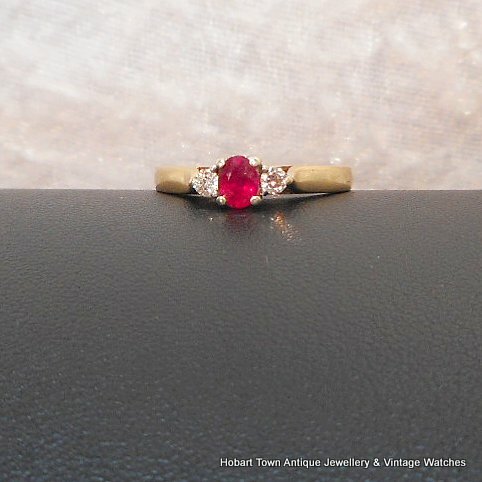 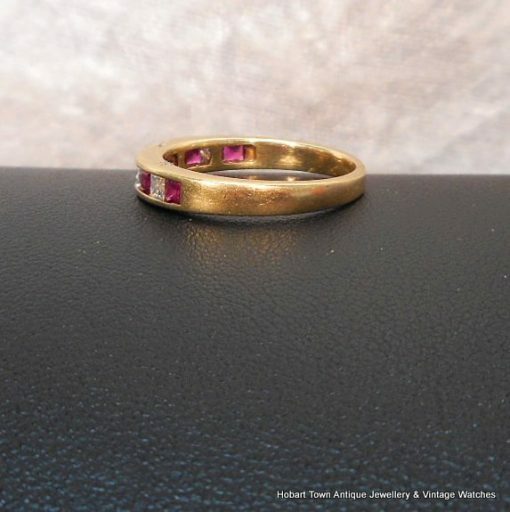 Made in the 1980’s , this Estate Ruby Diamond 18ct Gold Vintage Two Ring Set really does provide excellent value at our selling price and a very affordable wedding ring set or engagement ring set for the $’s involved. 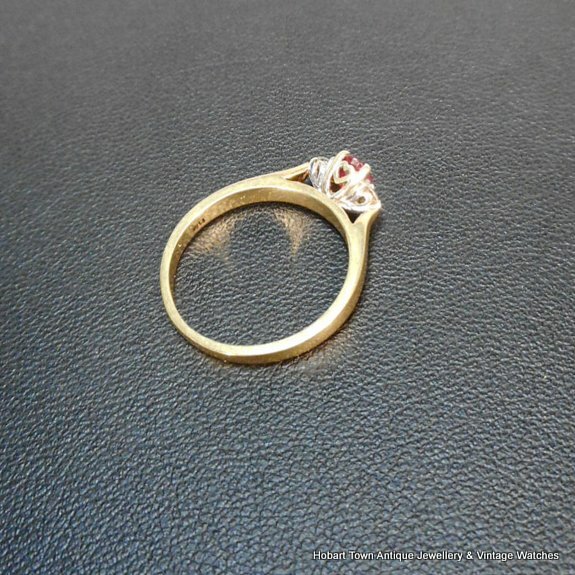 We are able to sell the rings individually if required yet they will not be priced “at half the cost” of the set. Weighing approx; 5.5grams or a touch over , for the combined weight ~ neither ring is a ‘light weight’ knock up type ring. Finger size added ASAP yet these are not overly small rings and would be around the “M” size , with both rings being able to be resized to some degree if required. 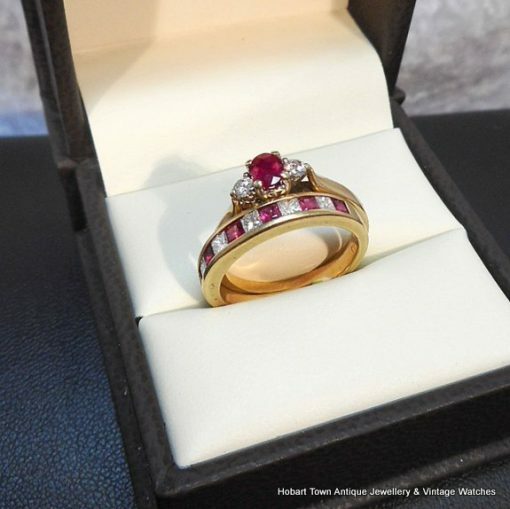 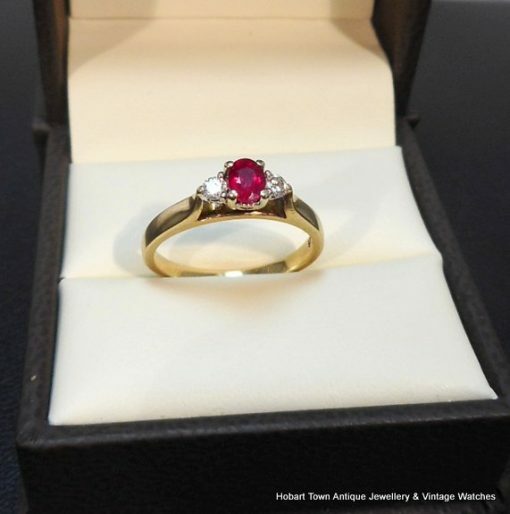 Please view the extensive images after reading this description and if you have any questions regarding this attractive Estate Ruby Diamond 18ct Gold Vintage Two Ring Set ~ please email and we will respond in a timely manner. 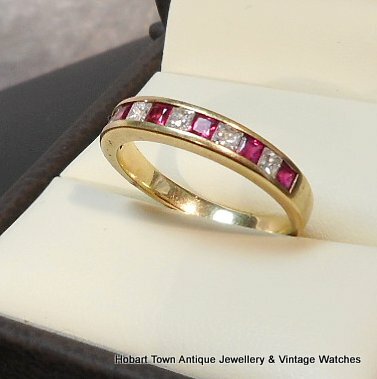 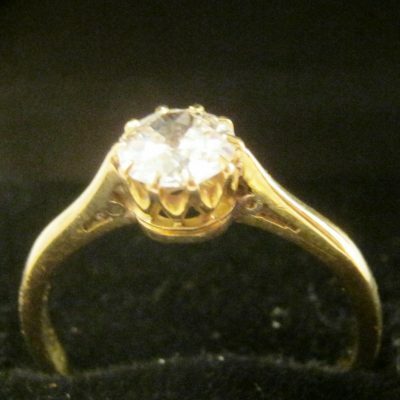 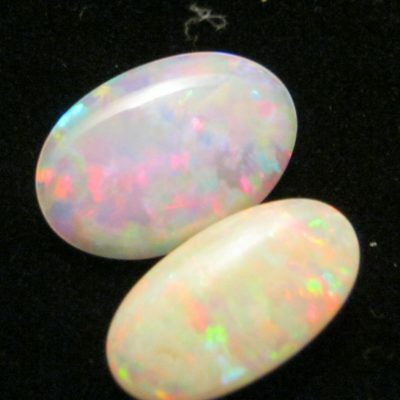 We also encourage price comparisons on these rings or any other piece of jewellery of our’s ……………. 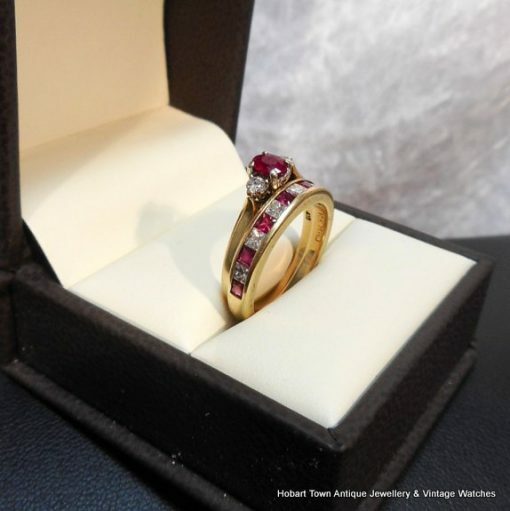 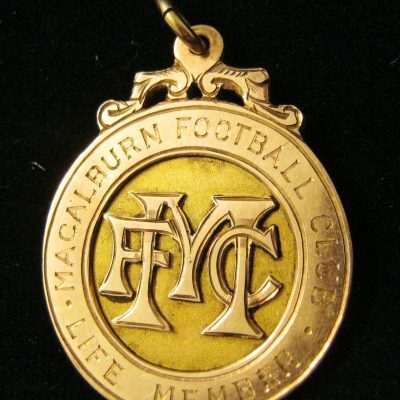 we will seldom be beaten on price ….more an genuinely equal piece!